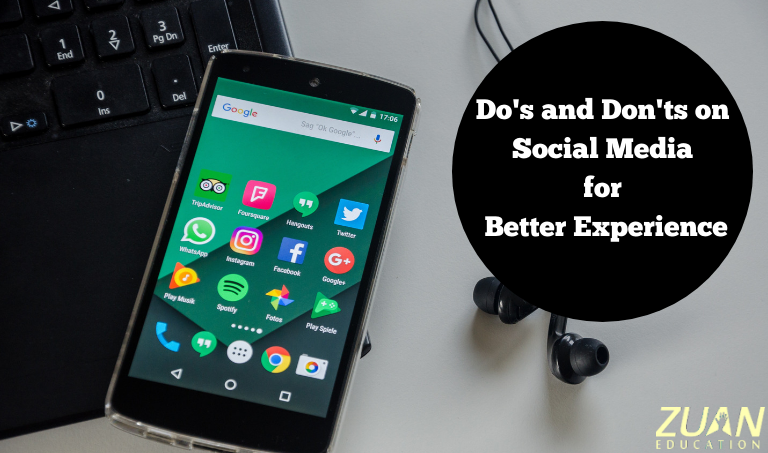 Dos and Donts on Social Media to Retain Customers And Increase ROI. Social media is everyone’s liking. Especially in Digital Marketing, it is essential to be present on social networks. But what are the significant dos and donts on social media? Meanwhile, it has become mandatory for you in the company or the company to have Facebook Twitter etc accounts. Therefore, what are those best practices that would boost your social media strategy? And of course your online presence. You may have a personal account or an official account on social media. This is a norm for anyone dealing with Social Media Marketing (SMM). But as a medium in itself or as an SMM strategy certain dos and don ts have their say on Social Networks. Don t forget to follow the below social media do s and don ts to amplify your online presence. You even learn more about SMM from taking up a dedicated study about strategies involved in Digital Marketing. This is very vital among the dos and donts on social media. You have to completely fill your social media profiles. For a Twitter account, you will need little more than your short bio, a profile picture, a location, and a link to your website. If you have a Facebook Business Page you should input more detailed information. Moreover in all of your social profiles talk in detail what you have to offer to the consumers. This is essential among the dos and donts on social media. Don’t keep posting for the business like how some post frequently about all their chores. Your consumers would be annoyed. You cannot keep posting every hour. Furthermore, for Facebook you can post one or two time during weekdays. Significantly just once per day during weekends. Equally, you can post for 12 times per day for Twitter. But it depends upon your audiences’ location. For Instagram, just post once on all seven days in a week. Follow this among the dos and donts on social media. So let’s say you are held up with something. And you miss posting on that particular day. What will you do? Will you wait until next week (say Wednesday) to post that particular message? That means you may lose a potential customer. Therefore keep your posts automatically posting. Yes, I mean you can use automation posting softwares like CoSchedule, Sprout Social, Oktopost, Hootsuite, Buffer, and HubSpot. One important goal of posting on social media is to draw and link customers to your website. Therefore, you have to link your customers to your landing page, blog or eCommerce store. Furthermore, with each post, you make hyperlink back to your site. Correspondingly, make linking a habit. Let’s take for example you don’t have anything to post someday. This of course happens and is normal. At such times, post relevant content. Browse for such contents on social media. You need not share your competitor’s content. Moreover, share things like info-graphics, a fun video or may be a motivational quote. This is important for small business owners. Apart from the big social media networks also post on small networks. This will scale up and add value to your social media marketing strategy. Maximum don t share flaring news. Don’t hurry for personal opinions until you want the comment section to flame up. Don’t post national tragedies unless someone in your company has been affected. Avoid discussing politics. This will not end up well for you. Of course, this will be boring. Engage your consumers with catchy subheadings, pictures, info graphics, images, videos and the like. Further more you can make use of several image-editing websites too. How will you deal with overwhelming responses. Well, answer questions first. If someone has a complaint address that right away. Then if you have spare time respond to individual comments. A good move is to give a blanket comment thanking everyone for their comments. This will convey your customer that you have looked at each of their comments. On the other hand, you will receive negative comments. This is quite normal. Now, how do you deal with it? Start a dialogue with your customers. Or give them a phone number or email so that their problem will be rectified. Don’t ever delete or brush under the carpet any comments. For example you can open an eCommerce store on Facebook that is different form your eCommerce website. You can showcase the same products as in your eCommerce website. Customers can complete their checkout on Facebook or be redirected to your website. All hiring managers look if you can deliver good customer service through social media. Therefore the aforementioned do’s and don’ts will ensure that you sail through your SMM venture. You can also know about other essential social media marketing skills from this link. Many Millennials spend most of their time on social media networks. This would be a ripe moment for you to grasp the essentials of SMM to take your Digital Marketing to higher levels.